Libraries rely on Friends groups, foundations, and other volunteer and fundraising arms to generate enough money to pay for public programs and to help raise awareness about library services and their value to the community. The Library Effect interviewed James Fox, president of the Friends of the Somerville Public Library in Somerville, MA, to learn about his brand of entrepreneurial volunteerism. 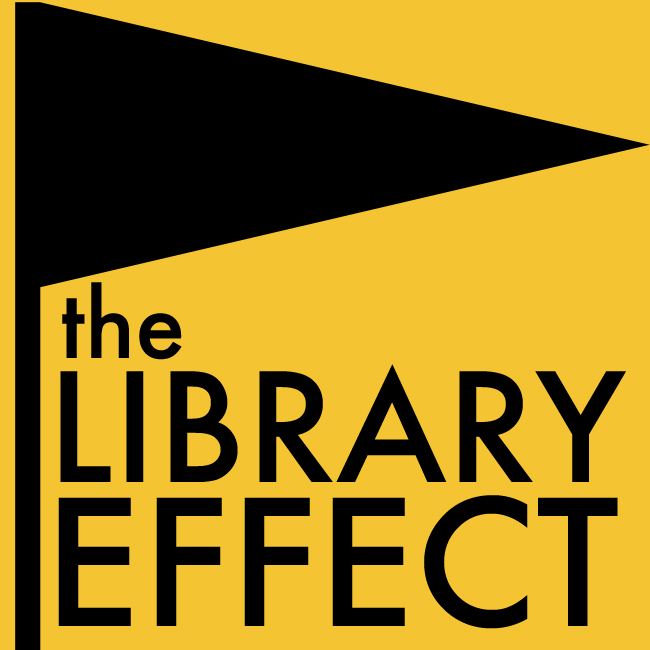 Library Effect: What is your vision for the Friends group that you lead? JAMES FOX: I want to raise the status of the Friends group to that of the little league team. Hear me out. What I mean by that is to have the Friends group be as widely known in town as the baseball team, to be considered an organization worthy of corporate support, be supported by local businesses, and be an organization with enough opportunities that teens consider joining and later return to lead as adults. To do that, we need to make the Friends an enviable partner for supporters. To achieve THAT we have begun to raise our visibility (through social media, i.e. Twitter, Facebook, and Tumblr, and a bumper sticker campaign), but more importantly by creating value through a series of planned events that include authors but also artists/ designers/ makers that bring in sympathetic but perhaps lapsed patrons. In this way our membership base increases (always a good thing) but more importantly the Friends becomes a group others seek to partner with. The video below is an example of one of our special events featuring Rohan Anderson, author of Whole Larder Love. I also want the Friends to be continually looking out for partnerships, be that the Gardening Club, Historical Society, the boxing gym or local bike groups. There may not be an opportunity to work together at this moment but long-term communication with other groups builds trust; when there is a chance to collaborate you are a known entity. LE: What is the most gratifying aspect of this type of volunteer work? JF: Hitting our fundraising targets and never having to say no to a funding request. As you might imagine our fundraising processes have had to evolve (e.g., start to take credit cards and organize PayPal for online donations). We have also had to think of new ways to raise funds as the traditional Friends group “book and bake sales” bring lower rewards. Even with a used book sale though you can wring out extra pennies; organize your own internet seller for cherry-picked donations, revisit your pricing structure, look into resellers for book sale remnants, etc. Transparency in these dealings is key as you are also answering to members/donors about the creation of funds and destination of remnants. We make ourselves available to, and make an effort to court local charities where we donate left over, age-appropriate books after each sale. LE: What has been the biggest challenge? JF: Restocking the volunteer pool, no doubt. We have created a core of a half-dozen volunteers (and perhaps a dozen more specifically to help with the book sale) – but engaging community members and converting them into volunteers can be a challenge. Retention is not so hard as the camaraderie at events and emotional rewards of fulfilling the library’s mission are strong. LE: How can Friends groups and the libraries they support collaborate? JF: There is some level of collaboration in any kind of event planned at the library. But helping each other promote events is a great way of building a common constituency. I take it as a personal responsibility to post/blog/tweet about any catchy event happening at the library – and in a busy city such as Somerville there are so many events happening in town you do need to touch all channels, and have feet on the ground, to reach residents. LE: What would you say to someone considering joining or leading a Friends group? JF: Hell yes! You can feel proud of supporting the bootstrapping and educational missions of your local library, and you hopefully also have the flexibility to target and create library events that speak to trenches of the community not currently being served. The time commitment is not big, perhaps an hour or three each month. You may know that the services of libraries are more heavily used than ever before, but libraries are also many things to many people; havens, community contact points, job centers, and classrooms. The essence of a library is now multifaceted and I am excited to promote that. Images courtesy of the Friends of the Somerville Public Library. A graduate of Simmons Graduate School of Library and Information Science, James Fox has been President of the Friends of the Somerville Public Library for two years. His studies along with a mix of urban and rural upbringing (Vermont and Scotland) inform his ideas about libraries and their role in the community and the 21st Century. Would you like to share your story about volunteering at a library, being part of a Friends’ group or your role as a library trustee? Visit Submissions, let us know what you would like to submit and let’s talk about it. If you would like to offer feedback on the article above, please do so via the Feedback page. Thank you. This entry was posted in Community Partnerships, Impact, Video, Volunteering, Winter 2014 and tagged Friends groups, Friends of the Somerville Public Library, James Fox, MA, New England, Somerville, Somerville Public Library. Bookmark the permalink.